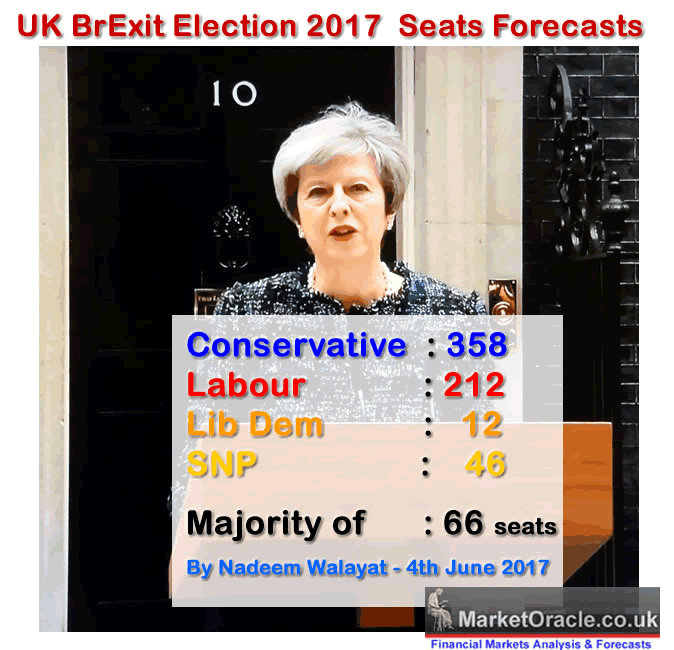 The BBC have revised their earlier hung parliament exit poll forecast in favour of the Conservatives by adding 8 seats to their earlier tally of 314 to now 322. Whilst at the same time cutting Labours seats total from 266 to 261. 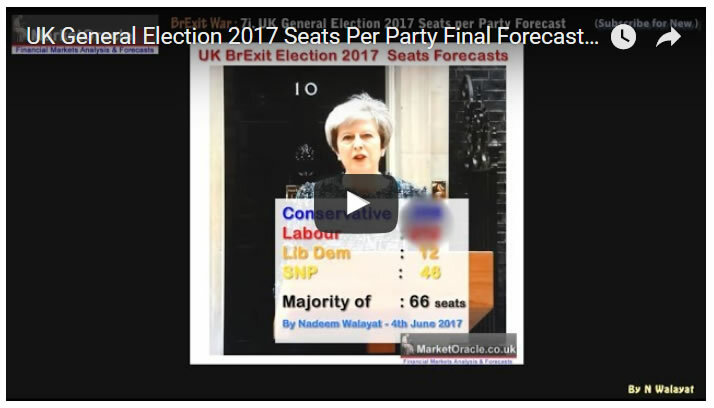 Suggesting a disastrous result for the Conservatives. 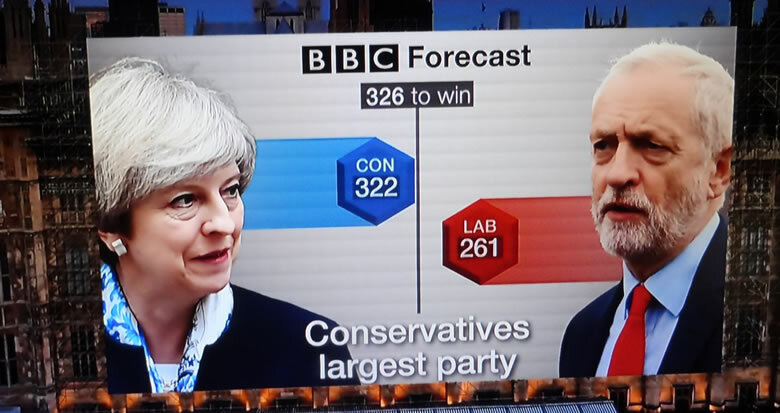 Though at the rate the BBC are revising the Tory seats total higher then they may still achieve an overall majority which means, even at 322 it most definitely is not over for the Conservative government who could continue in government despite damage done to their political capital. However just as big a story is the catastrophic collapse of the SNP vote who are now forecast to lose nearly half their seats, falling from 56 to just 34, which effectively is a big STFU from the people of Scotland to the SNP's shrill cries for another Independence Referendum. But even more importantly many of the SNP losses are going to the Conservatives thus Scotland could turn out to be the savior of the Conservative Government! As the difference between the Conservatives keeping hold of power and losing power is no more than about 6 seats i.e. 318 to 324 seats.